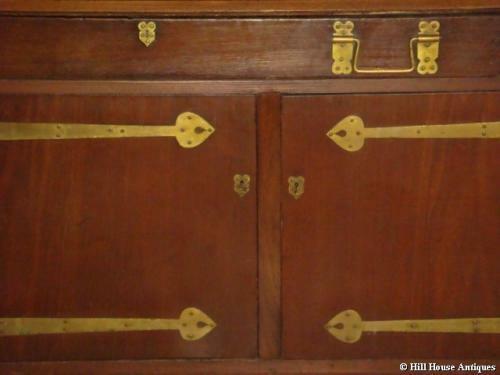 Rare & important stained cypresswood large sideboard/dresser with stunning stylised brass handles and strapwork. Made by Guthrie & Wells of Glasgow (who also made some of Charles Rennie Mackintosh`s early furniture designs), c1898; designed possibly by Herbert MacNair. With excellent provenance having been in the Guthrie family and later by descent.